Dystrick design, Inc., a creative design and communications agency, today announces the launching of the ALTIUS Communications Brand. ALTIUS Communications is a leading Broadband Wireless supplier and integrator. Dystrick was selected by ALTIUS Communications to design and implement a distinctive brand identity and to deploy a brand experience program that would embody their message and strengthen their brand in the minds of their customers and partners. The project included logo development, color palette, Website, stationary, advertising (online and print) and environmental design. "When we contacted Dystrick to design the ALTIUS brand and website, I had a vision and some ideas on how to convey the ALTIUS message, but Dystrick brought it to life and helped us create the image of what we truly were: a customer service and technology driven organization! We are somewhat of a niche group in our industry in that that we only focus on best of breed products and hold our vendor partners to a very high standard. Dystrick understood this concept and created a brand and extended our brand so that it spoke volumes to this effect." 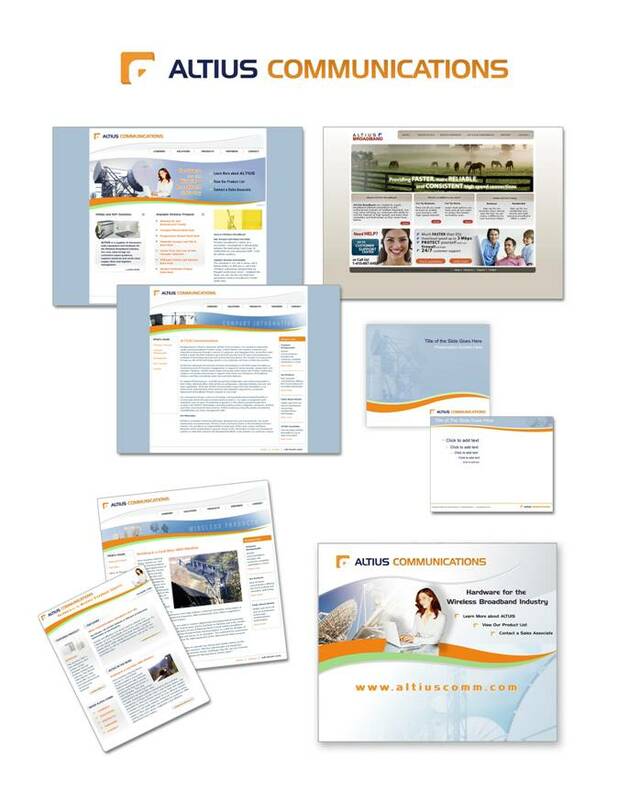 "Developing the ALTIUS Communications Brand was much more than a name, logo, color palette, and message. It's about the ALTIUS culture, vision, what they believe in and why they do what they do. These intangibles are the foundation in building a distinctive Brand," commented Joe Couto, Senior Brand Designer at Dystrick. "The key components to the ALTIUS Brand are that they listen, observe, convey information and develop solutions that meet their clients ever changing needs. Those components are the foundation to the ALTIUS Brand and have helped them succeed in a growing and highly competitive market. Our objective from the start was to bring out those components and reinforce them in their identity and message. "It's significant that ALTIUS selected Dystrick as their branding and creative marketing partner," said Sean Sinatra, EVP of Dystrick. "It validates that our identity-driven branding method compliments our brand experience solutions. Dystrick will be responsible for the ongoing Brand management and development of Brand tools to guide all communication on the Brand. The agency will also create ad campaigns, sales tools and other customer communications.